If you’re planning a trip to Chicago, you must mark your calendars for some specific activities that are incredibly fun and worthwhile. What’s more, if you are visiting during the winter, you can take full advantage of the indoor activities that are representative of Chicago’s rich culture and will keep you nice and toasty and away from the cold. Look into these top spots for your next trip. Chicago is known for its delicious, high quality meat, so you can’t go wrong with booking reservations at a steakhouse when in Chicago. 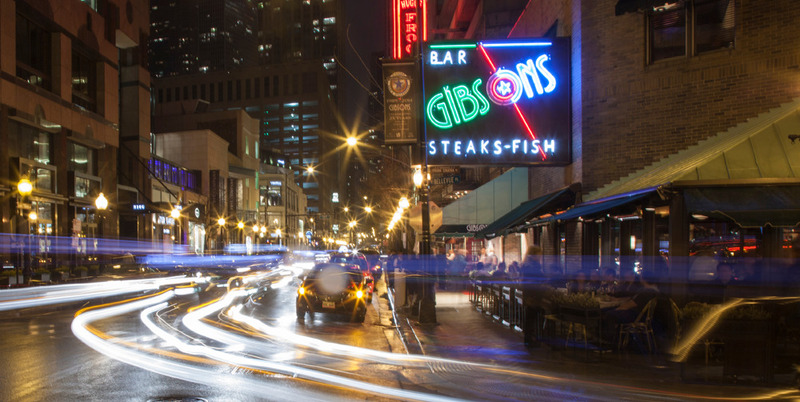 And if you do so, you should definitely find one that is a Chicago classic, such as Gibson’s, Gene and Georgetti Steakhouse, Chicago Cut Steakhouse, or even RPM Steak or Mastro’s, which are more modern but absolutely on trend and worth the trip. Get your wallet ready and do some damage for a fun shopping day when you’re in Chicago. Chicago has wonderful shopping opportunities along Michigan Avenue, such as in the 900 North Michigan Shopping Mall, which houses Bloomingdale’s, a few other boutique and hard-to-find designer shops, and a new food hall that offers renowned Chicago restaurants and eateries, such as Au Cheval, 3 Greens Market, and more. Plus, some hotels offer packages that provide opportunities for shopping in addition to your stay. Be sure to inquire with your hotel about such features. For instance, Marriott offers the “Art of Shopping” package, which you’ll want to take advantage of. Chicago also has wonderful spas, such as those in various hotels like the Peninsula and the Waldorf, as well as a few other notable spots, like the Aire Ancient Baths. When it’s cold in the wintertime, there’s no better way to spend a day than indoors relaxing and unwinding. The baths in particular offer a unique experience, and you can book massages and other services along with access to the baths to fully rejuvenate your senses. You can also broaden your knowledge in the realm of film and art by heading to The Art Institute of Chicago’s Gene Siskel Center to see an art film. Right now you can see Jacques Becker and Stranger Than Fiction, and you can keep your eye out for Orson Welles: The Other Side of the Argument, which runs from January 25-May 7. At the center, you’ll find interesting films that relate to cultural and historical contexts, so it’s a great choice when you’re looking to immerse yourself in something cinematically unique and stimulating. When in Chicago, and it’s cold, cold, cold outside, drink some beer. Luckily, Chicago has fantastic breweries that make local craft beers in different flavors and intensities to please various taste buds. A few options include Goose Island, Moody Tongue Brewing Company, Lagunitas Brewing Company, Michelen-Star Band of Bohemia, Forbidden Root, and more. You can visit the taprooms, schedule a tasting, and browse facilities. Give yourself a day devoted to beer—you won’t regret it.